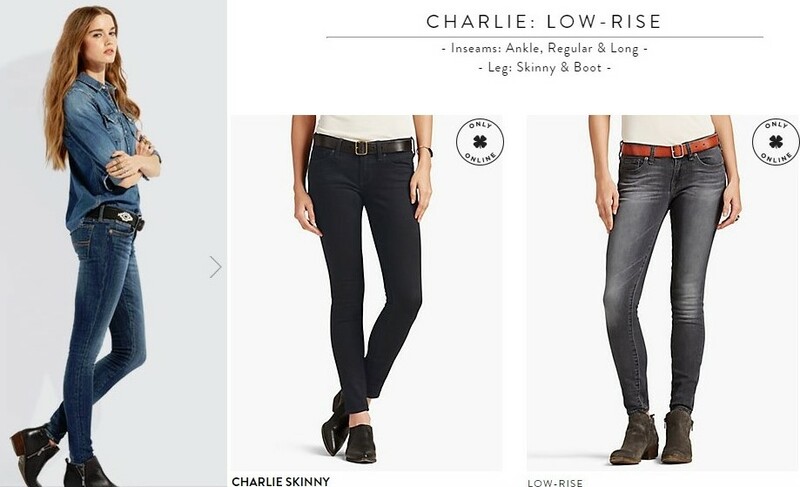 What is the Charlie Skinny? Lucky Brand introduces the Charlie fit which is a Low-Rise. The Charlie fit is the jean you will love to live in. Available in skinny and boot cut, this low-rise favorite comes in various lengths, from ankle to long (ideal for ever shoe in your closet). Low-rise (8 inch front rise and 12.8 inch back rise to provide appropriate coverage when seated). Straight through the hip and thigh, with a 12 inch skinny leg opening.